Happiness is a state of mind. 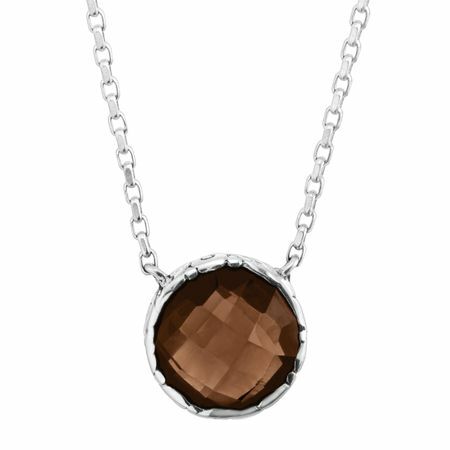 Find your bliss with this Balinese 'Happy' Necklace, crafted in quality sterling silver with a natural smokey quartz center. Feature piece measures 9/16 by 9/16 inches with a total length of 17 inches, plus a 2-inch extender for adjustable length. This piece is part of our Balinese Collection, inspired by the beauty of Southeast Asia and handmade in Bali using ancient silversmith techniques.